LAS VEGAS —A leading physician informaticist handed out grades on the state of healthcare information technology during the opening day of the HIMSS convention. 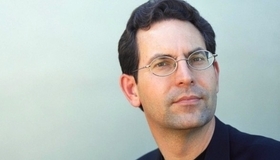 Leaning heavily on his personal experience and his own family's interactions with health information technology, Dr. John Halamka gave electronic health-record systems a grade of C+; interoperability, C+; patient and family engagement, B; big data, B; and cloud-based and mobile systems, B. The symposium held during the first day of the convention in Las Vegas was organized by the Association of Medical Directors of Information Systems, a professional association for physician informatics. EHRs can record a lot of clinical information but they were also built to record data for billing in addition to reporting for government programs and that overloads providers, said Halamka, chief information officer at Beth Israel Deaconess Medical Center in Boston. An analysis of Beth Israel's own self-developed EHR showed physicians must make 450 clicks and enter 141 structured data elements, mostly for clinical quality measures, to document a patient encounter. “I don't blame the vendors,” he said. “The vendors did exactly what we told them to do. We need to look what we've done to ourselves and work to improve the systems' impact on efficiency and physician satisfaction." Halamka defined interoperability in terms of the need to share patient information to coordinate patient care, and for that purpose, “we're better, certainly than we ever been.” Physicians now can exchange care summaries, lab test results and submit public health information, he added. But a recent Modern Healthcare survey indicated half of physicians said data wasn't always there when they needed it, and 40% are reporting being burned out, he said, so there's still work to be done. With patient engagement, providers are providing greater access to patient records through patient portals and projects such as open notes, where the entire medical record is accessible to patients, Halamka said. But as healthcare moves toward more risk-based payment models, tools will need to be improved to be “more process based,” he said. Patients will need to be alerted when there is a problem with a rapid weight gain, or be given wellness reminders and help in registering for appointments. For example, when Halamka noticed his blood pressure shot up, he bought a wireless blood pressure cuff and then tracked his blood pressure during his drive to work, while drinking green tea and meeting with his boss. “That data was sent through my mobile app into the EHR so the clinician can see my variation,” Halamka said. None of the events showed a correlation. But both of his parents were hypertensive, he said. “It just took 53 years for essential hypertension to show up in me.” Treated with beta blockers, his BP reading is back to normal. With cloud, "We are educating our legal and compliance people that it's a good idea,” Halamka said. To improve interoperability, the efficacy of big data and provider-patient interaction, Halamka said the healthcare IT industry needs to come up with a national provider directory of information systems, a voluntary national patient identifier, and consistent privacy policies.